The books and letters in this exhibition present a cross section of writing by English women in the nineteenth centurya period when women entered the literary marketplace in unprecedented numbers. 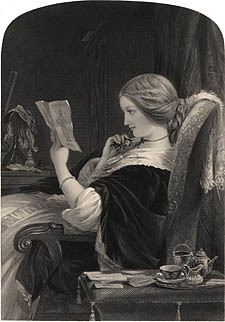 While many women wrote and published books before 1800, few British women planned careers as writers until the nineteenth century. And although there were notable and celebrated exceptions, women were excluded from most areas of literature until the end of the eighteenth century. Less than one hundred years later, women wrote an estimated 20% of all material published, a remarkable change in just three generations. This exhibition explores how women authors achieved such remarkable success in a profession dominated by men, operating in a culture that frowned upon female literary ambition.